One week from today is my fiftieth birthday. I’ve been thinking about this one for some time, and want to make it count for something. I will do at least 500 push-ups. In addition to the Psalms, I will spend some time each day reading. I will fast at least once a week. Here’s where your help comes in. Some of these will be a bigger challenge for me than others, so I invite you to hold me accountable. Anytime you want, feel free to ask me how I’m doing on any of these goals. Thank you for your help. 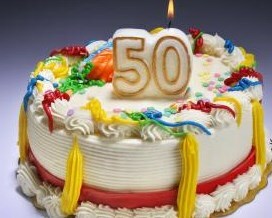 I’d like to return the favor; when you turn 50, or whenever some accountability will help you reach a goal.